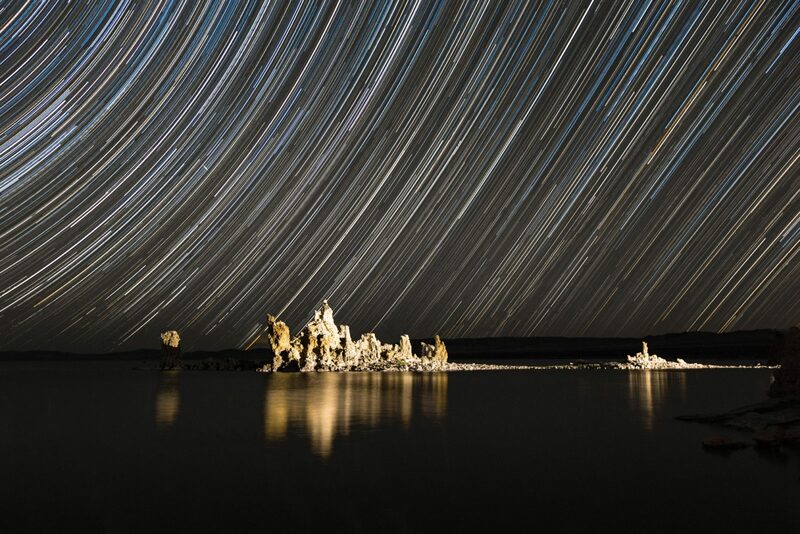 A composite star trail image of the other-wordly tufa formations in Mono Lake during the new moon using approximately 40 images at 4 minute intervals, ISO 800, f/4.0 stitched together in Photoshop. Lightpainting of the tufas was done after the star trail sequence was completed. Composing star trails can be a boring, and at the same time, exciting night time event for a landscape photographer, as you are sitting there for a couple of hours, hoping you get it right, and when you do: SWEET! Next time, a camp chair and a hot spiked beverage in a thermos are in order. Maybe some "Cards Against Humanity" to pass the time.